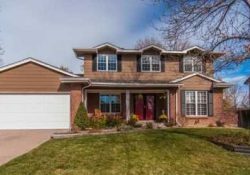 Typical Cherry Hills luxury home priced over $1.5m. Right now, that is the most common question I am asked. Because, sales of luxury homes priced over $1.5m have been slowing recently. But even more than that, discouraged sellers are taking many luxury home listings off of the market by withdrawing them and not renewing expired listings. So, buyers have fewer homes from which to choose. 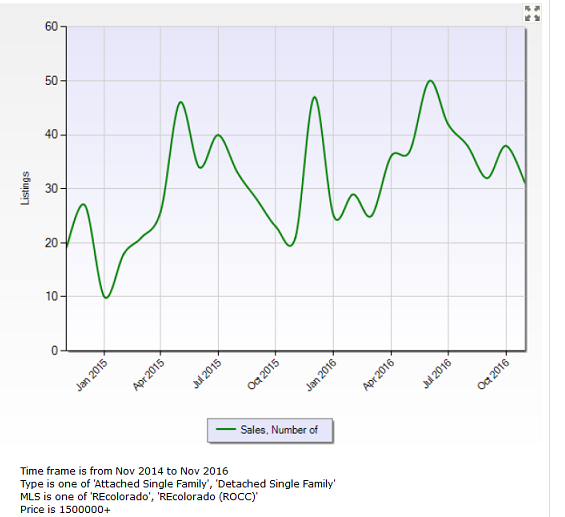 The number of Denver luxury real estate listings usually declines seasonally along with the rest of the market. Usually, sales of all homes in our market slow down at this time of year. The market tends to hibernate between November to January. The most common explanation is that the holidays and cooler weather slow down what has been a very hot real estate market for the last 5 years. We have experienced slower sales in all price ranges over the last few months. But, Denver luxury real estate sales now have slowed down the most. And, showings on our luxury homes have retreated more than usual. So, what is going on? Part of the answer seems to be that slower showings and sales have discouraged more luxury home Sellers. In the last 30 days, Sellers have withdrawn more of those homes from market. That includes withdrawn listings and expired listings. 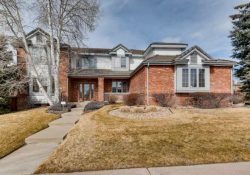 Sellers have taken listings off the market in pricey suburbs like Cherry Hills Village and throughout the Denver metro area. In fact, off market listings increased more in November than in any single month in at least the last 2 years. Disgruntled Sellers have recently removed more luxury listings above $1.5m than usual. Many of these luxury homes are only technically off the market. They can still be sold. They are quiet listings like these in Los Angles. I have had two buyers recently interested in expired listings. I showed them even those those homes were no longer in the multiple listing system. 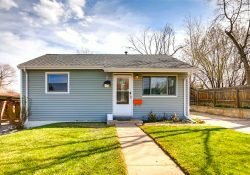 Both seller were anxious to sell. The only reason they did not have their homes listed in the MLS was that showings had nearly stopped completely. One home was priced at $1.6m and the other at $2.2 m in Cherry Hills Village. Both luxury home sellers will put their homes back on the market after January. And, they both expected to sell quickly then at full price. Of course, hope springs eternal. That could happen. After all, that’s exactly what has happened every spring since 2011. Spring home sales are always brisk then. Homes do sell often with more than one competitive offer during the early spring to summer time frame. But, will it happen again next Spring as it has every Spring since 2011? 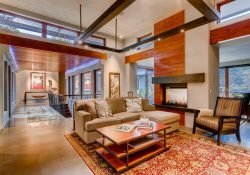 Will The Boom Return To The Denver Luxury Real Estate Market? 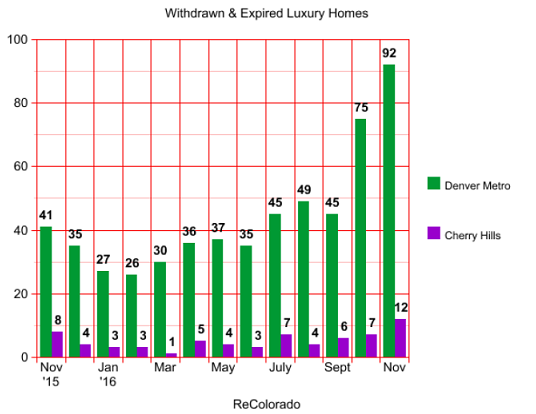 Luxury Denver real estate sales and showings do decline this time of year along with the rest of the market. Interest rates are increasing. Average mortgage interest rates for a 30 year loan are about .6% higher than they were in September. And, the 10 year Treasury note rate has climbed more than that suggesting that interest rates could go even higher in the short term. Of course, no one can say what will happen for sure by Spring. While higher interest rates are not usually a problem in the Denver luxury real estate market, they can affect the sales of more average priced homes. But, move-up buyers do need to sell homes that might be impacted by even a 1/2 percentage point increase in home loan mortgages. Still, the stock market is a better indicator for the health of the Denver luxury real estate market. When stock prices increase, luxury home buyers come out of the woodwork. They seem to feel emboldened when their stock portfolios swell. That could also happen next spring beginning as early as February. My partners and I are already seeing home sales pick up after the election for more popularly priced homes. In the last two weeks, we have had 2 listings go “under-contract” that had lingered on the market for several months. One was priced at $600,000 and the other sale was just under $300,000. Both recieved multiple offers just last weekend. Activity on those listings had been nearly at standstill previously. 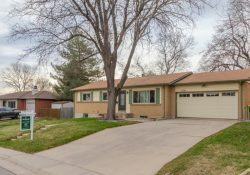 So, if the middle of the market is already starting to sell with multiple offers again, that could be a good omen for Denver luxury real estate soon. 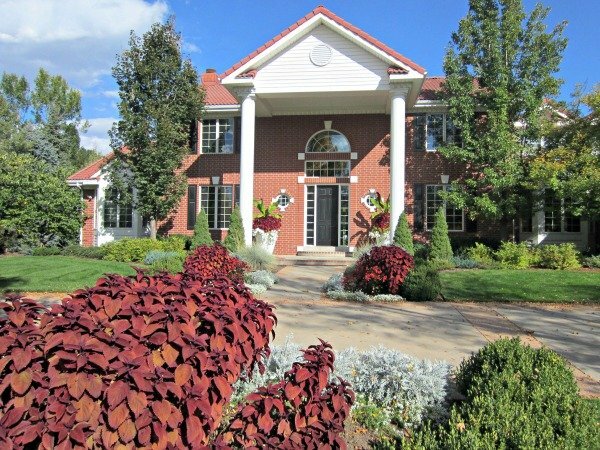 In fact, last week, our Kentwood office sold a large home in Cherry Hills Village priced at $3.9m. 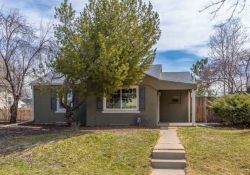 It had been on the market since July. Perhaps, buyers are beginning to recover from the trauma of the U.S. elections. 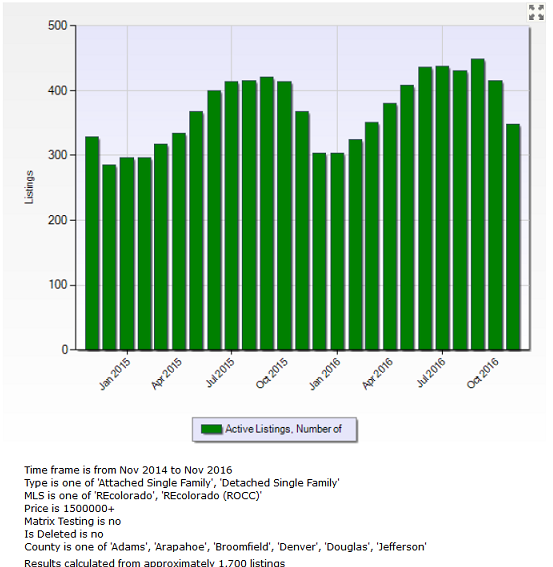 The simple is fact is that no one knows for sure what Spring will bring for the luxury Denver real estate market. My gut tells me that there should be some recovery. I agree with many experts who predict that our market is not near a “High plateau” and not in “bubble territory” yet. But, remember those listings that were taken off the market recently. They will be also be increased competition for Sellers. Persistent luxury home sellers who are still in the market right now, are motivated. That’s why this might be great time to buy and to sell. 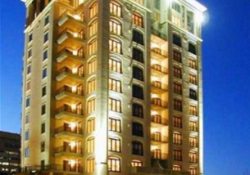 Want more information about the luxury real estate market? Contact me on my toll-free cellphone at 1-877-378-8213 or on the form below. Thank you for the heads up that while many luxury homes are being withdrawn from the market leaving buyers with fewer choices they are still privately sold. This should alert Mom that the actual listings she sees are just the tip of the iceberg in the luxury homes market. She could still do oculars of her favorite one-of-a-kind, custom-made homes in Denver and, perhaps, pounce on a sale if she really loves what she sees.